Shaken not Stirred returned to the old stomping grounds in South Redondo Beach to bartend a holiday office party on Thursday night two weeks before Christmas. The office was just a hop skip in and jump from the location of the old Frascati Ristorante where I was the bar manager, and just down the hill from Le Rive Gauche, where I worked off and on for years. I have a lot of history in the area, good and bad, and it is always bittersweet to go back there. The people in the South Bay are usually drinkers, and the host and I loaded for bear. The host had a favorite shot concoction called the Oatmeal Cookie shot, and I made a pitcher of them. 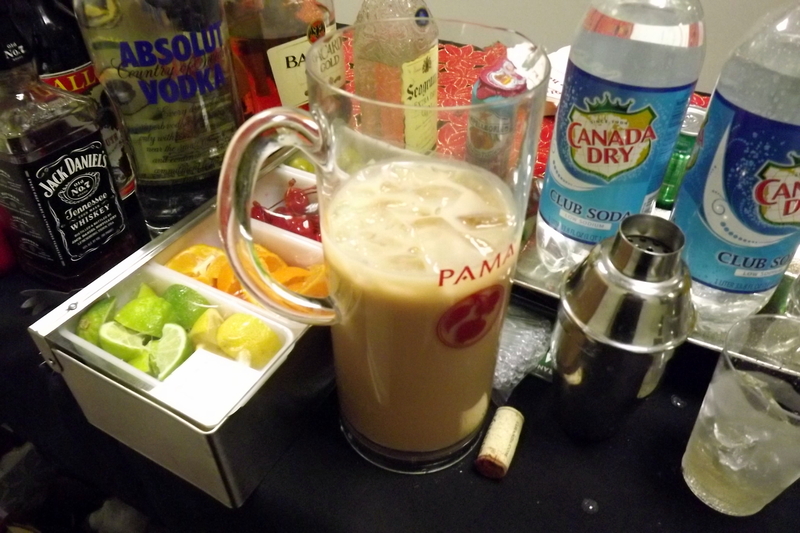 The shot is made with butterscotch schnapps, cinnamon schnapps, Bailey’s, and Jaegermeister. They say it tastes just like an oatmeal cookie. 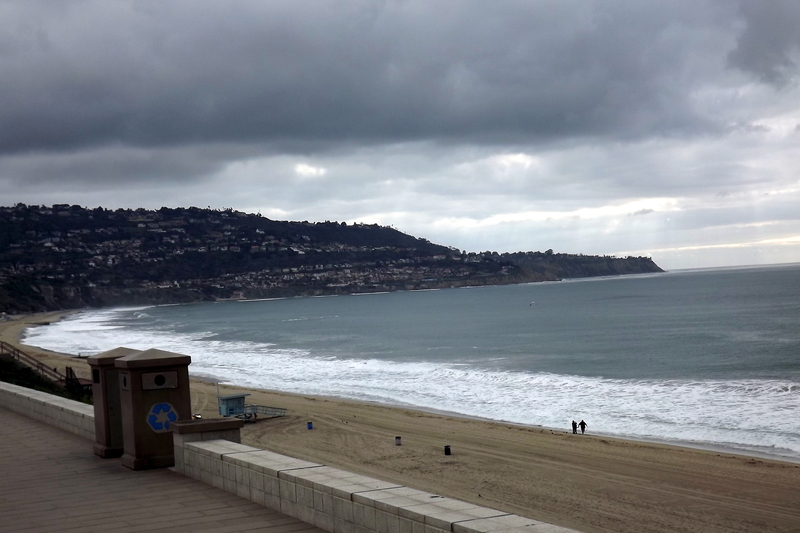 Several people tried it and liked it, but this was not the hard drinking crowd I remember from Redondo Beach. The crowd was pretty mellow, maybe because it was a Thursday night, or maybe because the biggest storm in a long time was rolling into Socal, and they were worried about getting home. I served Blue Moons, Coor light, Stellas, and Pacificos. Good old Kendal Jackson chardonnay was the wine of choice (I once dated a woman who bought that by the case). We also served 14 hands Cabernet, which they say is a very nice wine. I made whiskey sours, grey hounds, gin and tonics, and Cuba Libres. Ws China Bistro of Redondo provided the food. It was a very nice event for the employees and clients of the firm. Today I have nothing scheduled, but have a large backyard holiday party in Valley Village tomorrow, and then another company Christmas party in Downey on Sunday. The rains have stopped and hopefully they will stay stopped long enough for me to bartend these two weekend backyard parties. Where else in America can you host backyard parties in late December, but southern California. 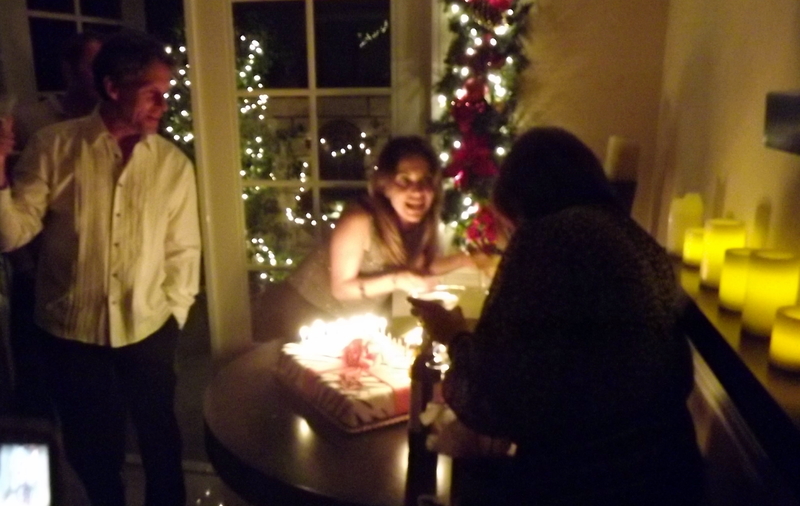 Next weekend I go back to Orange County for a Christmas party in Corona. I thought I had a New Year’s Eve party booked, but that fell through and am still open for that one. I know I will get something, and it will be interesting to see where in Southern California Shaken Not Stirred brings in 2015 at. Shaken Not Stirred opened the 2014 holiday season last night by bartending a holiday/birthday party in Simi Valley. The house where the party was held was fully decorated and in fact would probably win awards on Candy Cane Lane. The interior was very nicely decorated and they had the classiest home bar I have ever seen. The hostess was a former bartender and she stocked the bar to cover all bases. I kept busy the entire night and it reminded me of working a busy bar at a hopping restaurant on a Saturday night. I made Cucumber martinis, dirty martinis, Lemon drops, Kamakazi shots, Margaritas, Pear Martinis, Gin Cosmos, and Bay Breezes. Firestone 805 was the beer of the night and that seems to be quite popular at many parties now. Viva La Pasta catered the event and they supplied a nice assortment of pasta, salads, bruchetta, and Italian cold cuts. The hosts had cleared the living room out and turned it into a dance floor. They had a fantastic stereo system and people were dancing the entire night, fueled by the ten bottles of vodka I served. Overall, I think fun was had by all. Don’t wait until the last minute. Book your party now, because every bartender in town will be booked up soon. If you have a party on a Friday or Sunday, it might be less expensive and easier to book a bartender because most of the events are on Saturday. Consult with your bartender about a shopping list and drink menu. Check out sales on alcohol and non alcoholic beverages and start stocking up, so you don’t have to rush around at the last minute. Next weekend I am traveling to San Diego to bartend an engagement party, and then the following weekend I have events booked in Studio City and Yorba Linda. I’m sure I will book some company Christmas parties on weekdays during December. I will work seven days a week during December if necessary. 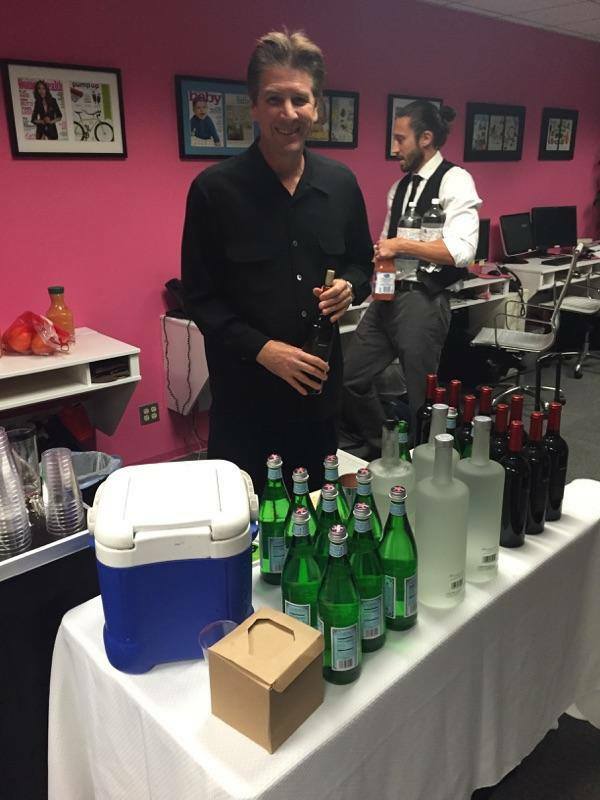 Last night I bartended an office party in downtown Los Angeles for a top PR firm in the city. 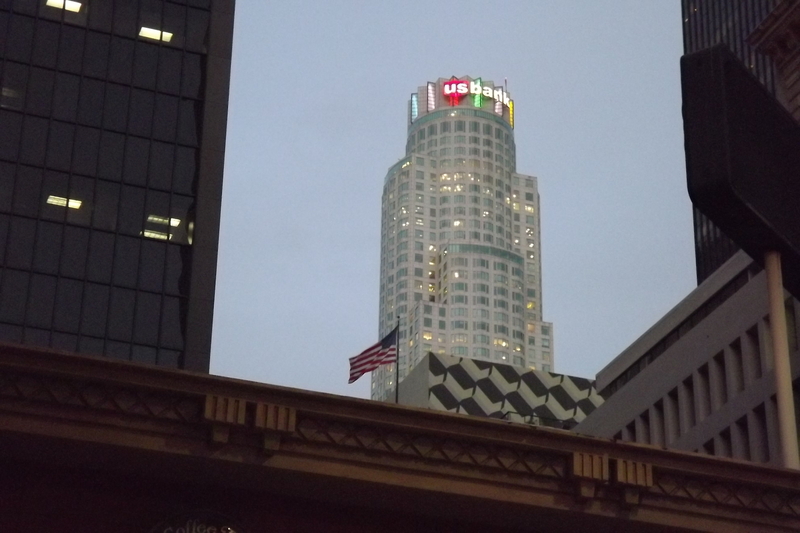 They were celebrating the opening of their new office on the tenth floor at a high rise downtown. 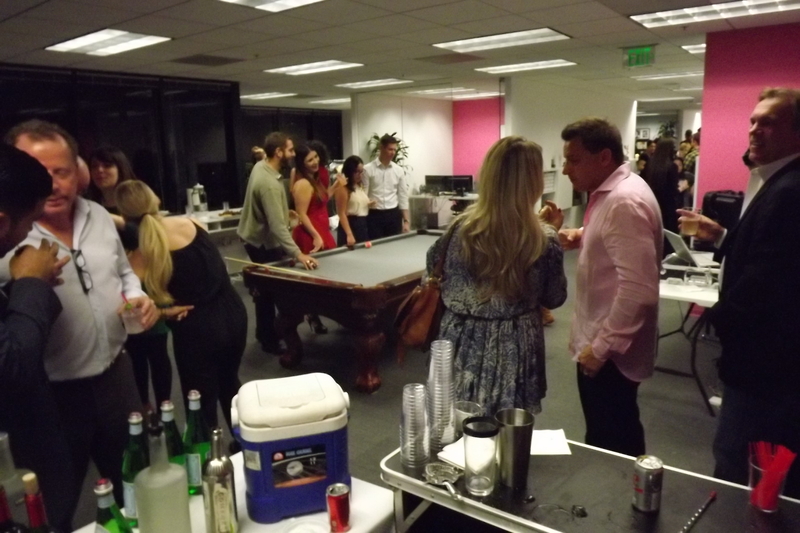 Approximately 100 guests, including employees and clients attended the party and no expense was spared. They had an event photographer, sushi chefs, a DJ, and I brought my portable bar. Another bartender was also hired and I worked with him. We got along great and I will probably need his help again. 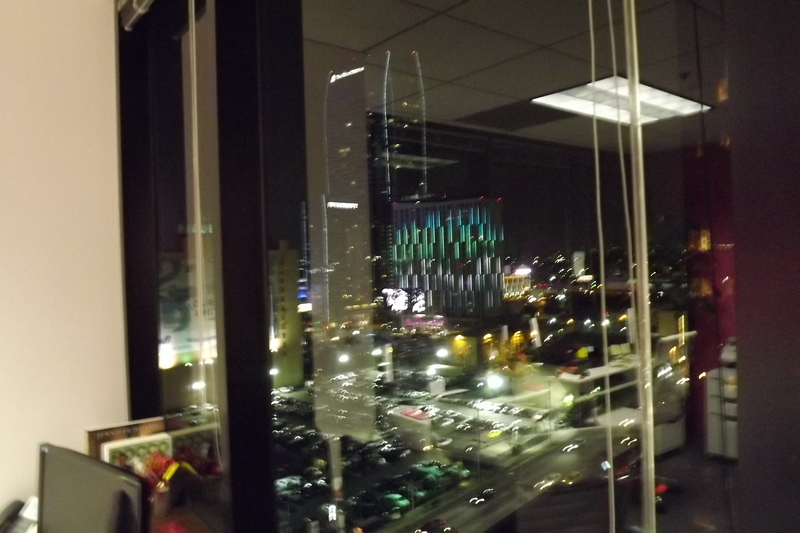 The office itself was very cool, and had an excellent view of the downtown area. There was a pool table in the center of the office and the employees were working on their pool shooting skills. It seems that the whole office is populated with women and there is only one male working there. He told me that he has a lot of fun working there. Everyone seemed so nice there, including the owner of the company. 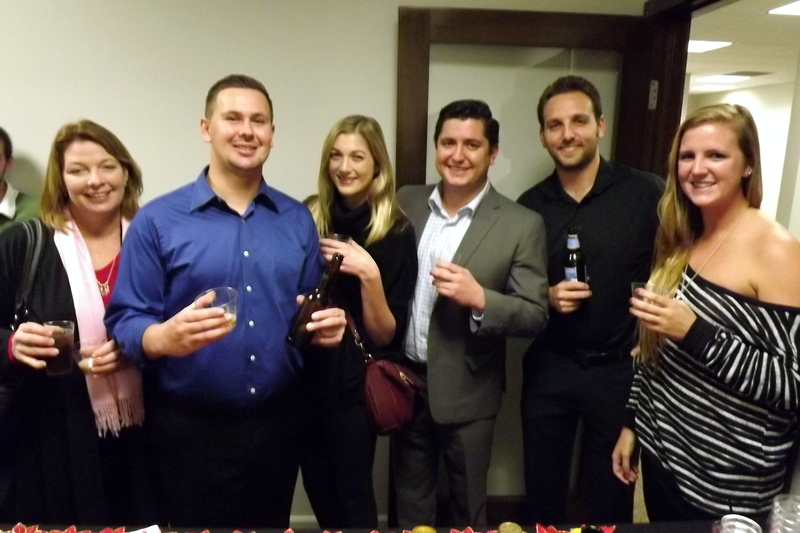 We served Apothic Red wine, Sauvignon Blanc, Firestone IPA, and Stella, along with a signature drink – the Greyhound. Also known as a Salty Dog, the cocktail has vodka, grapefruit juice, and a salt rim. 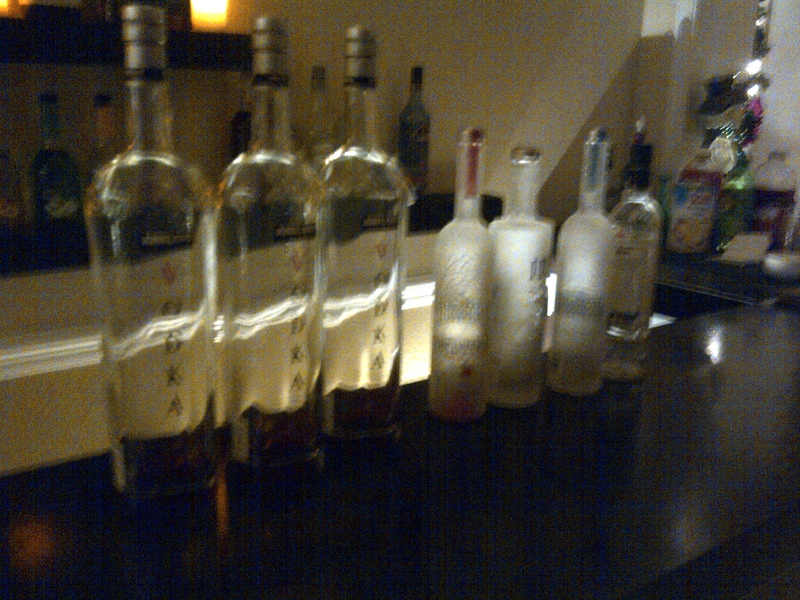 We went through almost three handles of vodka, so the drink was apparently popular. It was a quick three hour office party and I’m sure there will be many of these as the holiday season progresses. Tomorrow night I have a Quincinera in Cerritos scheduled. I received an email last night with an inquiry for a December wedding. In Southern California, wedding season seems to last throughout the year, though most weddings are in the summer. I hope I get to bartend the December wedding, along with the many corporate events, office parties, and holiday parties that will take place in December. I also have birthday parties booked. I hope to do some repeat Christmas parties from last year. Some people have contacted me, but don’t have dates locked down yet. If you want to hire Shaken Not Stirred in December, it is best to book your date now.